There are a few ways to go around in the Elder Scrolls Online. The first of which, of course, is to use your feet and walk. Jokes aside, there are two other way you can choice, one is the horse which give you a minor speed increase the other one is the way shrine system on the map. In general horses are slow and need more time. 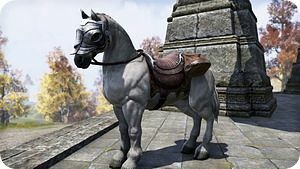 You can choose a horse at the beginning of your adventure. But it doesn't mean that horse can be regarded as the best way in this game all the time, it is slow and wastes time. So I consider horses to be the primary mode of transit, but one of the slowest for the longest time. You can spring for a short time by pressing down the SHIFT key by default. As a side note, sprinting consumes stamina. This is the easiest way to move quickly through the world, but it really causes some troubles. First, It decreases stamina so if you want to fight against your opponents you’ll need regeneration. Next, stamina is limited amount. So my opinion is when you’re almost out of stamina let go of your button immediately. When you keeping pressing that key down, you won’t regenerate stamina and will continue to walk at a normal speed. If you keep pressing it down, you won’t regenerate stamina and will continue to walk at a normal pace. Wayshrines are littered throughout the world map and work in many different ways. The shrines offer a resurrection points if you don’t have a soul shard on you. You’ll spring back to life at the nearest wayshrine after death and continue your journey. It can be used us a transit station. you can go to a wayshrine and teleport directly to any other wayshrine, free and fast. As long as you have discovered the two way shrines and you can get a free ride, isn’t that fun? The last use of a wayshrine is that they can be teleported to while out in the world for a fee. If you are rich and lazy, since there is enough of them that it takes all of 30 seconds usually to find one to walk to, you can use the map to interface with remote shrines if you do wish to pay the fee. 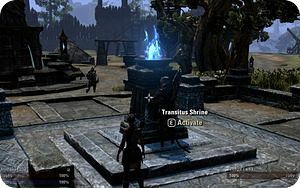 In PvP mode the wayshrines become “Transitus shrines” which allows you to transfer from one keep to another. It’s like a network of nodes; if there are two connections to a node available then you can instantly teleport to that mode. However, if one of the nodes is being attacked, you are unable to teleport. You can move to different areas and different instances through portals given by Quests. Generally speaking, a quest will teleport you to an area that is instanced and blocked off, and after the quest completes you’ll be done. Also, you can go to PVP through the AvA menu, in the PvP maps, you can travel to the wayshrine for a quick exit to the nearby PvE maps. 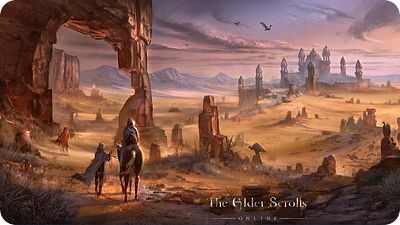 That’s what is all about traveling in the Elder Scrolls Online.